I share an easy and healthy recipe for one of the tastiest and preferable specialty from the menu of the missed by everyone Soma Vital Food restaurant. 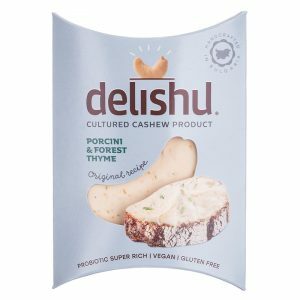 Only two vegetables are mixed in the meal together with some herbs, spices and the revolutionary cultured cashew product Delishu which, so far, we have added everywhere – soups, meals, sauces, burgers, wine appetisers, unbelievable cakes, creams and other miracles. 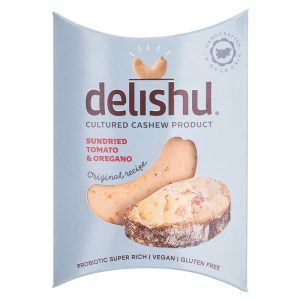 We even have our own joke about this – if something is not tasty just add Delishu and there you go. Boil the potatoes, leave them to cool and grate them in a bowl. Grate the zucchini and stew them with some water for 5-6 minutes. Add Delishu bio boletes and bio thyme and stir until it melts. 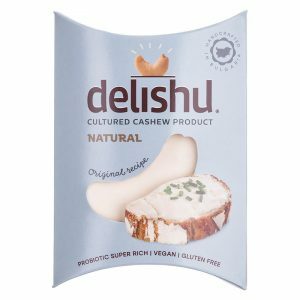 Besides being rich in probiotics Delishu adds a certain soft, fine and memorable taste. 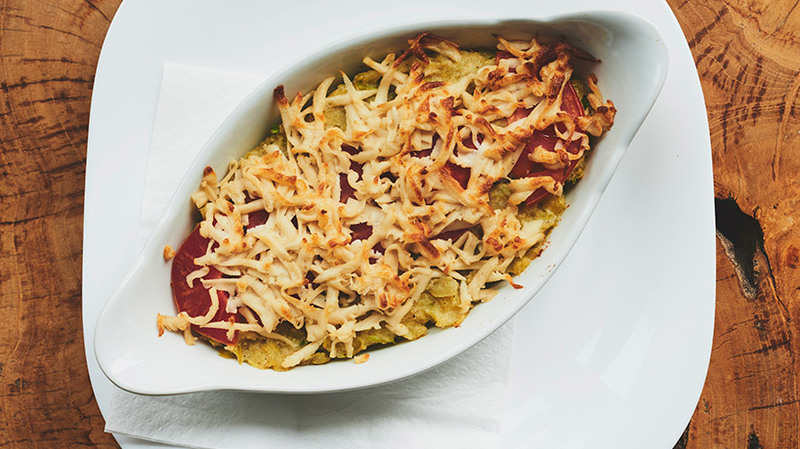 Thanks to its creamy and soft consistency when added to the potatoes it makes the meal juicy and we don’t have to add additional oils to the gratin. Add the potatoes and the spices, stir well and pour the mixture in a tray. Place thin tomato slices on top and grate Delishu natural.Roast at 200 degrees for about 10 minutes.